Twin Peaks special at Senses of Cinema. Several articles that seem to be pretty in-depth. I haven't read everything yet, myself. From today’s perspective, however, it is possible to see the show in a different light, less as misplaced cinema, and more in terms of television aesthetics; rather than the lack detected by critics of the show such as Nochimson and Jonathan Rosenbaum in relation to Lynch’s cinema, Twin Peaks can now be viewed as a key exemplar of television aesthetics that, however much it borrowed from cinematic techniques in terms of both visual mise en scène and sound design, and however much it relayed some of Lynch’s signature style as a cinematic auteur, did so precisely and deliberately as an early example of complex television. In terms of narrative complexity, audiovisual style and audience engagement, this was an innovative mode of television, and yet it was still made within the parameters and constraints of 1990s US network television; constraints that make its aesthetic achievements all the more remarkable. It is precisely these aesthetic accomplishments that the articles within this dossier seek to address, through approaches to neglected or under-examined aspects of Twin Peaks television aesthetics. “David was right here, sitting in your chair, almost five years ago,” Angelo Badalamenti reminisced in the sun room of his suburban New Jersey home last month. “He said, ‘Angelo, how do you feel about Twin Peaks 25 years later?’ I said, ‘What are you talking about? 25 years later? What’s not to like. It’s Twin Peaks.’” Badalamenti, of course, was bound to be one of the first people to be looped in on David Lynch's upcoming Twin Peaks revival — as the Grammy-winning composer of Twin Peaks’ entire series, as well as the prequel film Twin Peaks: Fire Walk With Me, Badalamenti’s hauntingly beautiful original score is widely considered to be the greatest in television history, effortlessly combining smokey jazz and synth-pop to accompany the goings-on in the quirky northwestern town. A longtime collaborator of Lynch’s, the two met in the mid-1980s when Badalamenti was brought in to assist Isabella Rossellini with her vocals for Blue Velvet’s title song; after Twin Peaks’ cancellation, he went on to score the Lynch films Lost Highway, Mulholland Drive, and The Straight Story. But while Badalamenti held a steady career outside of the Lynchian universe — his other work includes The Wicker Man, A Very Long Engagement, and Stalingrad — there was something "beautiful" about Lynch that just couldn't be replicated with any other director. In honor of the show's revival, premiering next year on Showtime — as well as a new book, Beyond the Beyond: Music From the Films of David Lynch, out now — we asked Badalamenti to tell the stories and inspirations behind five popular songs from Twin Peaks. As a side-note, the drummer, Grady Tate, who was in our sessions for most of the Twin Peaks stuff, would joke they I played on two tempos: slow and reverse, which is so true. Anyway, David kept talking in my ear to create the music for Laura. Keep it going, keep it going, keep it going. A beautiful teenage girl is coming, she’s very lonely, she’s got tears in her eyes, and she’s in trouble. So I changed it from that woods theme and segued it into another major key, and it flowed out and I started on a unifying theme. As David heard the music and the theme, he kept talking to me, that theme’s beautiful, let the theme build slowly, keep it going, she’s coming closer and closer to the camera. I kept playing the same notes. She’s getting close, you can see her face, Angelo, she’s in pain, reach a climax. Now come back slowly, take it back and come on down slowly. That’s the ticket! I went down slowly and came back into the dark woods. That was it. “David said I should compose something that’s more rhythmic than anything we had done before, so we started with [finger] snaps. Those snaps were generated on a very early computer, believe it or not. Then we found a tempo and bass line. The beautiful part about it was when I called the session to record it, a good friend of mine, Al Regni, a saxophone player, was able to record with me. We were in the same college class together. Al was in town doing other recording sessions and I said to him, ‘I gotta do a song that has a really jazzy and bluesy feel to it.’ I laid down a basic track with rhythm, piano, bass, drum, vibes, guitar, and I really needed the saxophone. I had written for Al six or seven bars of the opening motif lines. That’s all Al needed. Right from there, he started improvising, he just went with it. Before you knew it, David said, ‘My god, this is good for The Man From Another Place.’ I owe that all to Al, he played that sax so beautifully. “David and I were composing and producing a debut album for Julee Cruise, who’s an absolutely wonderful singer, called Floating Into the Night. We all worked together earlier on the song ‘Mysteries of Love’ from Blue Velvet, and we both realized she had such a special voice. So, David gave me a few lyrics and boom, we got Julee to record that song for her album. One of the lyrics was ‘falling.’ He legitimately just wrote ‘falling’ to begin with. Nothing else — very helpful, David. I don’t think there was any thought about Twin Peaks because ‘Falling’ was recorded about a year prior. We were just working with Julee and writing songs. When we recorded, in some cases I actually put an instrumental melody on top of the track. With the vocal, you don’t ever play the melody with the singer. So we just happened to have that particular melody. About a year later, much to my surprise, David started to edit Twin Peaks and he showed me one of the very first cuts of the show. It was the titles, and what do you know, there’s the instrumental of ‘Falling.’ Oh my god! He used my instrumentals as the main title theme! I had no earthly idea. He thought that the song should be there. I had nothing to do with it. He heard it and said, ‘Angelo, this is the title. This is the identity of Twin Peaks.’ It was a dream come true. The 18-hour limited event series will debut with a two-hour premiere on Sunday, May 21 at 9 p.m. Immediately following the premiere, Showtime subscribers will have access to the third and fourth hours, exclusively across the Showtime streaming service and Showtime On Demand. In its second week, “Twin Peaks” will air the third and fourth hours back-to-back on the linear network, starting at 9 p.m., followed by one-hour episodes in subsequent weeks. I need some more time to process my thoughts, but I loved it. This is what a revival of a cult classic 90s TV show should be. Not at all what I expected (feel free to substitute hoped for/dreaded) but better than I could imagine. Perfection. I'm in love with David lynch all over again. This is his epic. Nods to Eraserhead, Wild At Heart, Blue Velvet, Lost Highway, and even Mulholland Drive, but it never feels reductive or cynical. Beautiful. Hypnotic. I feel like my mind has been bathing in something profound. Like I've been meditating. 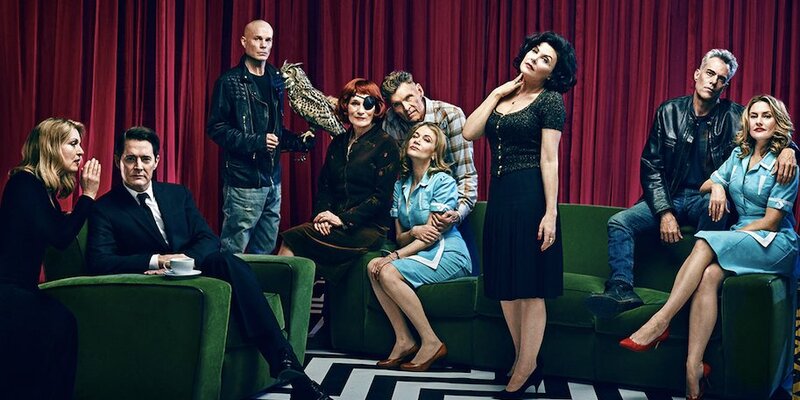 The aged original cast adds to the sense of the Black Lodge's vastness over time and space. I teared up at the scene with Shelly and James at the Bang Bang Bar. Also, give Lynch all the awards for sound design now and get it over with. Just wow. The opposite of selling out. FYI: Showtime is available as an addon to Amazon Prime. I can't believe they let him do whatever he wanted.